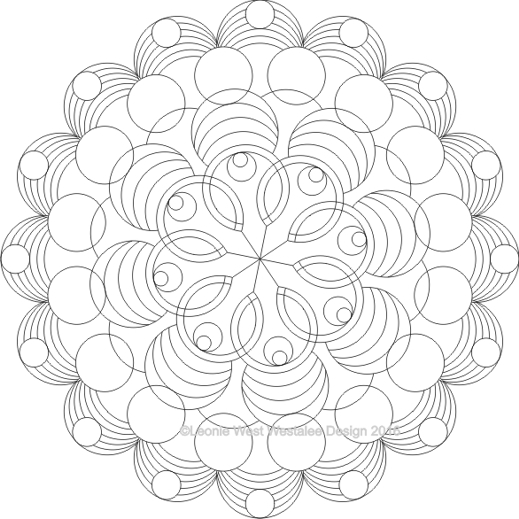 The Artisan Curves Template can be used to create many different quilting designs which use a Circle Base, such as Baptist Fans, Mandalas and many more. You can use 1 template or as many as you desire and we have many designs to choose from. The Artisan Curve Templates will stitch up to an 18" diameter circle at 1/4" intervals. Artisan Curves have been designed to be used with marked reference lines, using our Stitch and Rotate Quilting Method.